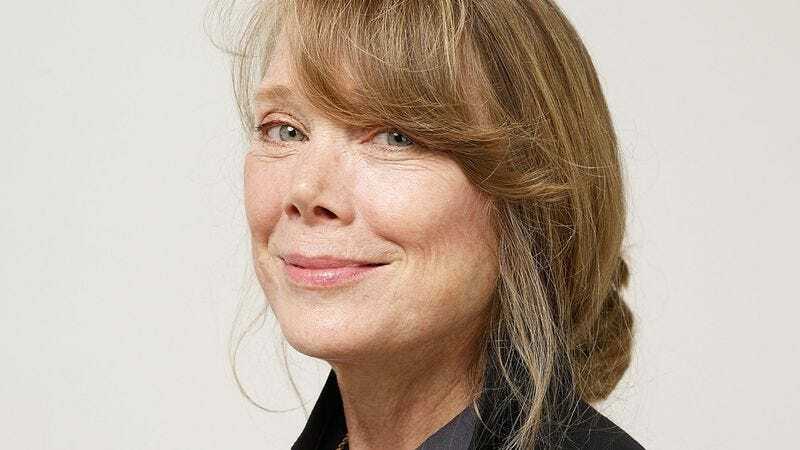 The actor: Hailing from a tiny Texas town, Sissy Spacek knew from an early age she wanted to be a performer, although her initial calling was to make it as a singer. Instead, she matched up early on with fellow Texan Terrence Malick, who cast her as the guileless companion to Martin Sheen’s charismatic spree killer in Badlands. The production changed her life, establishing Spacek as an actress who never seems to be acting, whether she’s playing a telekinetic teenager or the queen of country of music. She talks about that and more in her new memoir, My Extraordinary Ordinary Life. Sissy Spacek: The first film I made [1972’s Prime Cut] was a big studio picture, so everything about Badlands was special and unique. It was definitely the most creative project I’d ever been involved with. We did things in not the usual, normal way, but I felt it gave us more ownership of the project, having been so involved in it. It was so low-budget we had to be creative, and everything about it was amazing. The A.V. Club: It’s an incredibly confident film for a first feature. Did you have a sense that Terrence Malick was learning as he went? SS: No, he seemed to know just what he wanted. It was just all fun, so much fun. There was a wolf at the door all the time, because sometimes we weren’t able to make payroll toward the end, but it was just such a great experience. I’d fallen in love with Jack Fisk, who was the art director, and it was like that Mickey Rooney thing: “We’ve got a barn and we’re gonna put on a show!” We were all in it together. There weren’t the same kind of rules. I think for some of the crew who were old-timers, it was difficult for them. For Jack, and for me, and for Martin Sheen and the actors, and Terry of course, this new way of working was just thrilling. It was all about going after the shot, chasing the light, and trying to capture that elusive magic. There was a lot of passion for Terry and Jack, and there was just that feeling of do-or-die. We really wanted it to be great, and we were just doing everything we could—working hard, working long hours, and just trying to squeeze every little bit out of it that we could. AVC: You worked with Brian De Palma on two very different films in two very different capacities. Obviously, you starred in Carrie, but you also worked as a set dresser on Phantom, helping out your husband, Jack Fisk. How different were those two experiences? SS: Well, I loved Brian from the first time I met him, as a person, and Jack did as well, but I was really over my head in the set-decorating department. I was just trying to help out, and I was talentless in that department. In the one instance [on Phantom]—I talked about it in the book—I really ruined a day of shooting, and that was also a low-budget film. I think he thought of me as a really bad set decorator, and was probably not really interested in working with me as an actor. Actually, on that film, Phantom Of The Paradise, I’d auditioned for Jessica Harper’s role. She was wonderful; she just has a huge, magnificent voice. On Carrie, there was another actor that Brian really wanted and the studio really wanted. I told Brian I had a commercial [scheduled] for the same day as the test, and he suggested I do the commercial, but I of course didn’t; he hadn’t wanted me, but the studio hadn’t wanted me either, so they had neglected to make my deal before. They were testing three or four of us for Carrie, and they felt pretty sure who they were going to cast and were just going through the motions. Brian told me just this year that the studio hadn’t wanted me and that they wanted to cancel my test, and he said, “No, you guys can’t do that. She gave up a commercial.” So he was my friend, but he wasn’t my fan at that point. AVC: So he told you, in essence, not to bother coming in, but then when the studio wanted to cancel your audition, he stood up for you. AVC: You point out in the book that it was very unusual then, as it is now, for actors to get Academy Award nominations for horror films, as both you and Piper Laurie did. But you’re not really giving a genre performance. Normally even when the main character is supposed to be awkward or unattractive, we can tell all she needs is a good haircut and some clothes that fit, but Carrie’s so uncomfortable she’s almost hard to watch. SS: I think people connect with Carrie because as teenagers, we all feel tortured and slightly tormented. I think that’s probably what people connected to, was that underdog thing. AVC: You also did some behind-the-scenes work for In The Bedroom. Is that right? SS: We lost our production designer early on, so it was sort of all hands on deck. Todd Field and his wife were sending out everything in their house from Los Angeles for set dressing. It was a low-budget film, so they would send me around to all the local antique stores to plead our case and see if we could borrow, or rent for a really low sum, antiques and set dressing. My daughters worked; it was all hands on deck on that film. We didn’t have trailers in the beginning. They said, “We’ll get motel rooms for everyone,” but then we came to find out, like, “Whose are these dirty socks under the bed?” They’d borrowed the crew members’ motel rooms. I think eventually they found out that it was easier for us to have trailers, or bangers, quadruple bangers or triple bangers so we could move around with the crew and not be so far away from the set. SS: No, she didn’t know. She’d never seen anything I’d done. She’d never heard of me. But she got a feeling about me, and Loretta’s very interesting that way. She gets feelings about things, and there’s usually something to it. I’m so grateful that she wanted me, and I’m so grateful that I had sense enough to finally agree to do the film. Because we probably wouldn’t be talking right now if I hadn’t. AVC: You’d known David Lynch for almost three decades at that point, going back to when he and your husband were friends in Philadelphia. SS: Exactly. And they went to Pennsylvania Academy of Fine Arts, and they lived right next to the morgue in a very dangerous part of town, and they just put all their belongings in their shopping carts. [Laughs.] They were an interesting pair. AVC: You and Jack Fisk were married, but you say there were parts of him you’d never seen until you saw him interact with David Lynch. SS: He started come into focus and make sense when I met David. They’re just two artists. They would’ve been painting and building sculpture and making films on their own, regardless of if they ever made a dime at it or had been able to step into the main stage, because they’re just true artists, both of them. I can say that as a fact. To have that influence on me, it really just opened up my whole world and changed everything. AVC: And you’re talking about when you first met them in the ’70s, right? SS: Yeah, and I was changed because of that. I got to have that art-school influence, and it’s not just that, but the way they see the world. AVC: Robert Altman gave the film this drifting, dreamlike quality. Did you know what kind of movie you were making? SS: No, we didn’t. He had it in his head. We shot in sequence, so we understood what we were doing as we went along, but it was in treatment form when we saw it, and we would come in each morning and he would talk to us about the scenes we were going to do. We’d block them out, he’d talk to us about them, we’d start to improvise, and as we did, we’d decide on the dialogue and how the scene was going to go. And at the end of each day, the script supervisor would present us with a copy of the scenes that we had done that day. By the last day of filming, we had a full script. We didn’t go into the project with a full script; we went in with an outline, a treatment. But we came out with a full script. It was a completely new way of working, and it was just amazing. That’s one of the things, I think, I could say about all these different directors: They all work completely differently. It was a real great learning experience for me, to not get locked in to any one way. You think you have it all figured out, and then you work with a different director and they have a completely different way of working, and it really pulls different things out of you and really makes you think. Brian De Palma, he liked to storyboard things, but we had enormous freedom within the parameters that he set. In Coal Miner’s Daughter with Michael Apted, we would go in and block out a scene and he would let the actors kind of block it out naturally, and then he and the cinematographer Ralf Bode would watch that scene and then design the shot around that. And that was really, really wonderful. But each director approached it differently, and it’s never boring or dull.